Tomorrow is National Pancake Day which means there are opportunities to score some free pancakes. March 7, 2017 marks the 11th year that the International House of Pancakes is celebrating National Pancake Day and they are rewarding customers with a free short stack of pancakes. You can get a free short stack of pancakes at IHOP on National Pancake Day (March 7) between 7 a.m. and 7 p.m. IHOP launched National Pancake Day in 2006. 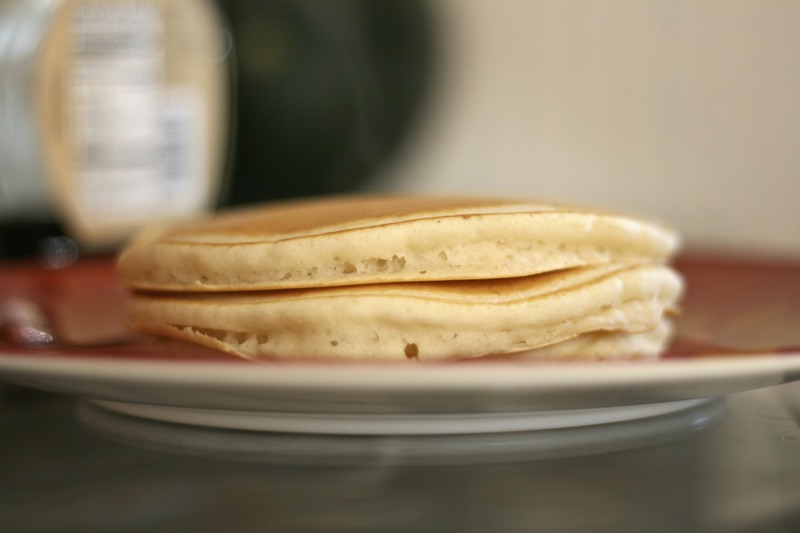 The idea behind the “holiday” is to give customers a short stack of pancakes for free and encourage them to donate what they would have spent on breakfast. Since 2006 IHOP has been able to raise $24 million for charity. IHOP asks its customers to donate to one of its partner charities, which includes Children’s Miracle Network Hospitals, Shriners Hospitals for Children and the Leukemia and Lymphoma Society. This year the company hopes to raise another $3.5 million to children battling diseases. If you’re wondering about the IHOP nearest you you can find the closest restaurant using this store locator. You don’t have to go out to eat to celebrate National Pancake Day either. Some companies like Bisquick and Hungry Jack are offering discounts on their pancake mixes in the store. You may be able to find a manufacturer coupon or a coupon in-house to get $0.50 or more off your pancake mix. Companies and nonprofit organizations have been using pancake breakfasts to raise money for charity for years. Everyone loves a fluffy short stack of pancakes (and they are relatively cheap to make), which makes it easy to raise money for different charities. How will you celebrate National Pancake Day? National Pancake Day is March 8, 2016. 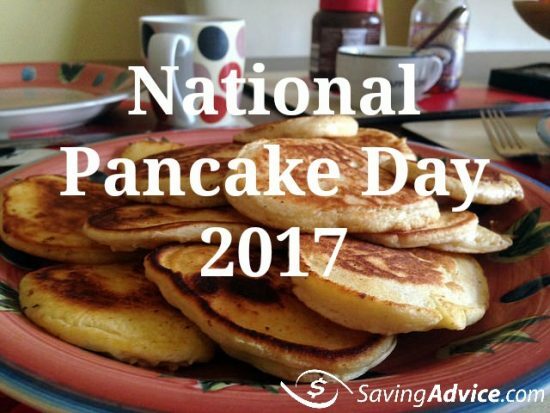 This day is a day many people will be making the favorite breakfast food and others will go out to enjoy a stack of flapjacks. If you are going out, you may want to consider heading to the International House of Pancakes to celebrate the momentous occasion. National Pancake Day has been celebrated by the International House of Pancakes (IHOP) since 2006. Within that decade, IHOP has raised $20 million for charity through National Pancake Day. The best part? The pancakes are free! The celebration of National Pancake Day is continuing to spread throughout the world. Not only are people throughout the United States celebrating, but people in Canada and Mexico are joining in for the third year in a row as well. More than 1,500 IHOP restaurants will be participating in this occasion on March 8. This year’s National Pancake Day will mark over a decade of celebrating and giving to a cause close to the hearts of those working at IHOP: Children’s Miracle Network. To honor the eleventh National Pancake Day, from 7 a.m. until 7 p.m. on Tuesday, March 8, 2016, the International House of Pancakes will be offering patrons a free stack of buttermilk pancakes. In return, the restaurant is only asking customers to donate to Children’s Miracle Network Hospitals. Those on the executive board at IHOP cannot believe that they have already raised $20 million and will continue to be able to give to such a great cause simply by offering people a free stack of pancakes. The company is happy to continue the yearly philanthropic event that is making a difference in the nation and each prospective community. This year, IHOP is aiming to raise $3.5 million for the cause. The restaurants will be offering $1 and $5 “Miracle Balloons” to donate to the cause. Most IHOP restaurants will be giving to the Children’s Miracle Network, however, some will also be donating to Shriners Hospitals for Children and The Leukemia & Lymphoma Society as well. People who make a $5 donation will receive a $5 coupon off their next visit. The Miracle Network is a network of 170 hospitals that provide 32 million treatments for children each year in the United States and Canada. Each donation made (on IHOP National Pancake Day and otherwise) stays local and helps a child in your prospective community. The network has been able to raise a total of $5 billion since its start in 1983. Most of that $5 billion was raised $1 at a time. Shriner’s Hospitals for Children is a network of 23 hospitals in the U.S., Canada and Mexico. Shriner’s Hospitals for Children help kids with palate issues, orthopedic issues, burns and spinal cord injuries. The Leukemia and Lymphoma Society is the largest organization in the world that is dedicated to researching blood cancer. The society aims to find a cure for leukemia and continue to discover more about the life-threatening condition. If you would like to donate to one of these causes, you can always visit their website or you can make it fun and head to IHOP on March 8 for free pancakes and give a few dollars to the cause.